Up until about 2006, buying a home was a relatively low risk proposition, even for first-time homebuyers. But now that mortgage underwriting guidelines are more difficult, and property values are bouncing up and down like a yo-yo, you need to be more informed before making a purchase. Here are six money-saving tips that will make the process easier, and remove at least some of the risk involved in purchasing a home as a first-time home buyer. This first tip is one where you will have to push back against your real estate agent. The conventional wisdom – which will be strongly advanced by members of the real estate community – is that you should buy the most expensive house you can afford. The idea is that you will be able to more easily afford it as the years pass and your financial situation improves. There may be merit to this, but it’s bad advice for a first time home buyer, especially in today’s market. It will be better for you to buy at least a little below your financial means. This will leave more room in your budget to pay for everything else in your life. When you buy above your means, you’re flirting with being house poor. No matter how much you love the house, being house poor gets old fast. To the best of your ability, try to buy house at a price that is below the going market price. You should aim to buy a house at least 5% to 10% below the prevailing market value. If the house is reasonably worth $200,000, you should try for a settlement price of between $180,000 and $190,000. This will give you some extra equity upon closing on the house. More important, it will provide some insulation in the event property values should fall. It’s easier to do this in some markets than others, but you should always try. You never know how anxious seller is to make a deal. Those are the kind of properties that you want to buy – the ones you can get at least a bit of a deal on. Many times a first time home buyer will resist this idea, because it means coming up with an extra $300 or so before closing. But this can be the very best money you can spend in the entire transaction. It can alert you about needed repairs; if you know about these upfront, you can have the seller fix them before closing, saving you a major headache later. You can use repairs and other deficiencies to negotiate a still lower price on the property. A home inspection often provides you with a list of bargaining chips. It can reveal that the property is a complete disaster, allowing you to get out of the deal before closing. Spend the extra money for the home inspection, you’ll be glad you did. Property sellers sometimes like to work without real estate agents, so that they can avoid having to pay the real estate commission. As a buyer, there’s no real advantage to not having the services of real estate agent. The agent acts as a third-party negotiator between you and the seller, and that tends to be more effective than face-to-face negotiations. This is especially true if there are significant issues that develop along the way to the closing table. The agent acts as both a go-between and a shock absorber, helping to work out mutually agreed upon terms. In addition, since real estate agents work in the business all the time, they know how the process works. They can present a written offer, handle negotiations, schedule the closing and home inspection, and even help you select the mortgage lender and closing agent. If you are a first-time home buyer, you will have enough on your plate without having to worry about all of that. It’s natural for first-time home buyers to want to buy with as little money as possible, but that’s not how the real estate business works these days. The minimum down payment with an FHA mortgage is 3 ½% of the purchase price. If you are using conventional financing, the new normal will be more like 10%, or even 20%. On conventional mortgages, lenders require that you have “reserves” in excess of the down payment, equal to anywhere from 3 to 6 months of the new house payment. The extra money will come in handy with incidental and unexpected expenses related to the purchase, such as moving, establishing utilities, making minor repairs, and last-minute purchases. It’s never a good idea to be broke immediately after purchasing a new home. 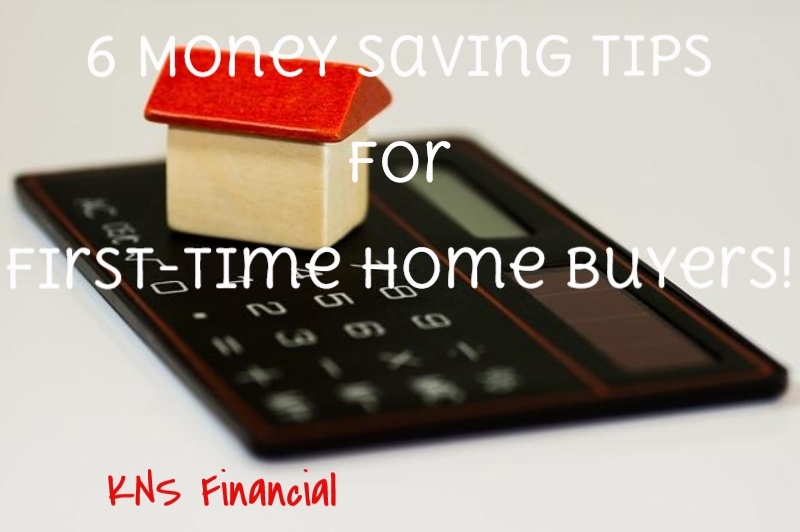 Save some extra money to give yourself some breathing room after the closing. Some first-time home buyers don’t bother reviewing their credit before applying for a mortgage, but it’s to your advantage if you do. If you wait and let the mortgage lender run your credit, and there are credit problems, your loan could be declined. But if you obtain a copy of your credit report in advance, and fix any issues that show up, your credit report will be “clean” by the time the lender pulls it. That will improve your chances of getting a mortgage approval. The underwriting guidelines for mortgage loans are still quite a bit tougher than they were a few years ago. You will need to enter the process in the best financial shape possible. Determining the quality of your credit is something you can and should do in advance. Follow these steps, and not only will buying your first home be easier, but you’ll find the entire transaction – and subsequent ownership – to be a much more pleasant experience. What kind of problems did you encounter as a first time home buyer?